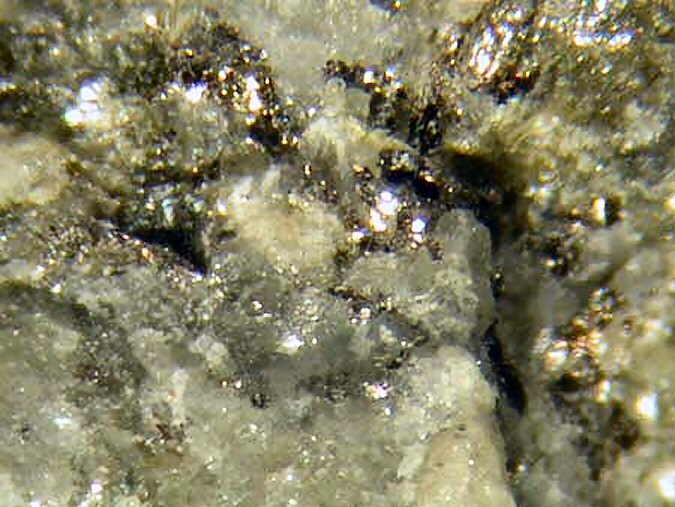 Comments: Gray, metallic aleskite grains in quartz with tellurobismuthite and Pb-bearing tetradymite. Location: St. David's Mine, Bontddu, Dogellau, Gwynedd, Wales, UK. Scale: Specimen Size 2.5x4.5 cm.